Social Selling is sales for the digital age. Except it’s got far less to do with selling and much more to do with social. Social media enables us to reach our audience in so many different ways throughout different stages of the buying journey to increase trust. 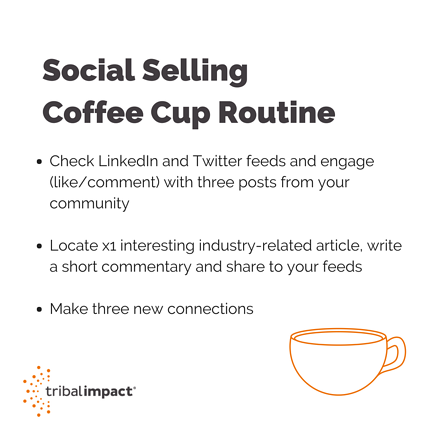 Social selling is about leveraging your social network to find the right prospects, build trusted relationships, and ultimately, achieve your sales goals. This sales technique enables better sales lead generation and sales prospecting process and eliminates the need for cold calling. Building and maintaining relationships is easier within the network that you and your customer trust. Social Selling is all about building relationships and interacting with sales prospects by answering questions and providing useful content until the prospect is ready to buy. The buyer journey has changed beyond all recognition since the onset of the digital age and social media. Buyers use their social networks to research and compare products, with a report by Social Buying Study stating that 75% of B2B buyers use social media to support purchase decisions. [Source: Linkedin] People are self-educating throughout the buying cycle. They're searching, reading and asking peers for recommendations. If your sales team aren't engaging early on in this process, they will find themselves engaging further down the funnel where the conversation is focused on price and not value. In fact IDC found that 84% of C Level/VP Executives used social media to support their purchase decisions. Social Selling allows your sales teams to enter the buying cycle early, influence the decision making process, limit competitive involvement, reduce deal closure times and even increase the deal size. If you would like to learn more, take a look at our infographic to view more statistics and reports that show why B2B sales should start social selling in place of cold calling. What is the SSI score? Complete your profile with your customer in mind. Become a thought-leader by publishing meaningful posts. All the statistics point to the fact that Social Selling gets better results. So what are the key outcomes of taking this approach? Thought leadership and influence: buyers choose sales reps that add value and insight to the buying process. Expert Brand: build it over time so you become a trusted expert and are knowledgeable in certain topics. Competitive Differentiation: insights help differentiate you from your competitors. Relationships, not sales pitches: buyers are increasingly searching for answers rather than sales pitches. 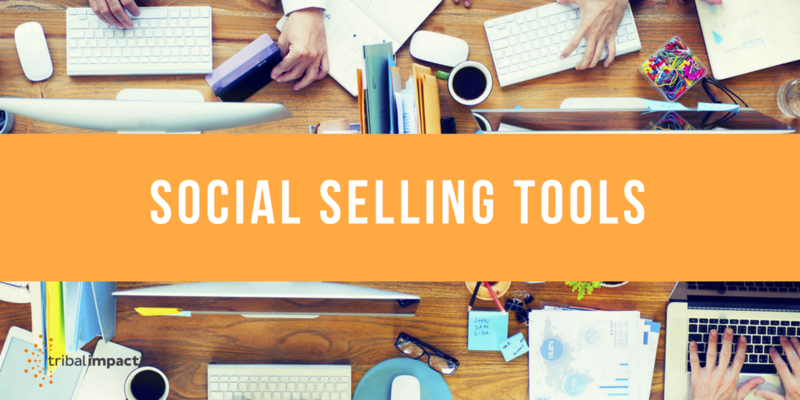 There are a number of tools to support Social Selling. LinkedIn Sales Navigator is the most obvious one in the world of B2B sales. It’s great for researching prospects and accounts and targeting the time you spend engaging audiences that you are interested in. It includes unlimited searches, the ability to see who’s been checking your profile over the past 90 days, a monthly InMail quota and TeamLink, which allows you to see who you could be referred by within your own company. A word of warning: Sales Navigator is a big investment and you need to be sure it will be utilised properly. Consider how you will train the team and embed the methodologies to change their behaviour. Plan how you will work together with marketing on content creation and the use of your InMail quotas. Users can quickly and clearly share content – whether PowerPoint, PDFs, maps, video or URLs - and then track the viewer’s activity to find out what they accessed and for how long. This provides excellent intelligence into how warm a prospect is. Learn more about how marketing can use PointDrive to support Social Selling here. Flipboard and Google Alerts are social listening tools that help you to find content which might be relevant for your audiences. You can set up alerts which track when people are mentioning you. You can also collate news and views on topics which interest you, or which might be useful for your audience. This means you can more effectively follow influencers with whom you want to engage or even learn from. Twitter is a good tool for engaging with prospects and finding out what they’re sharing and engaging with. It’s a great place to source content and you can create lists of your customers, prospects and competitors to focus time and effort. There are a range of Employee Advocacy Tools which collate pre-approved content in one location. The content can be categorised for simple and fast searching. Content can be shared directly from the platform, with mobile versions for sharing on the go. The impact of the content can be tracked to varying degrees, depending upon the specific tool features, with a range of data and metrics available. This allows the types of content driving engagement to be identified and provides evidence to support and refine ongoing content strategies. Scoring systems allow the use of the tool to be gamified for additional competition, although these features should be configured and used with care to avoid inappropriate use. Get people together in a room, use the tools, demonstrate and let them try, with dedicated time in which to learn. Give your team a 20-minute daily pattern to follow (a bit like the Tribal Impact Coffee Cup Routine). Let them build the habit without it being a time-consuming experience. Let them experience immediate results as this will help them adopt a long term habit. Target ongoing micro-learning modules to keep your team trying new things. Consider setting tasks to help them incorporate the new functionality into their daily routine. Buddy up people who are new to Social Selling with your established champions. Someone who’s already been through the process can take the scary out of social. This approach encourages best practice sharing and you could create a monthly Q&A to support it. Do you use Yammer, SAP Jam or Slack? Find a place where sales teams are already collaborating and promote this as somewhere they can ask questions, seek advice and get answers. It's important to differentiate between a tool and a program. 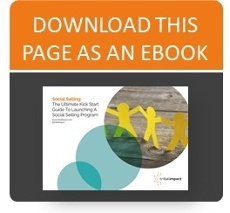 A social selling tool will help your sales team start social selling. A program will embed the behaviour into your sales routine. Change to "Social selling is not just about helping your sales reps set up their social profiles. It requires a comprehensive plan and deliberate strategies and tactics to deliver successful results." 1. Establish your goals and objectives. 2. Be clear on ownership. Decide who owns the program, make sure they’re engaged and then work out who else needs to be involved. It’s not just about sales. You’ll need marketing for content and social support, sales ops for measurement, L&D for scaling up the internal training, IT for systems integration and so on. Decide your content strategy because Social Selling doesn’t work without quality content. Staying front-of-mind is essential to building an expert profile that’s credible and authentic. Start by researching what type of content your customers engage with, what keywords they use and how they source information. Embed your findings into your content strategy to set up your advocacy tool. 4. Start with a pilot. This links closely to the second point: prove the business case to ensure sustained buy-in to the strategy from all parts of the business. A pilot also gives you the chance to revise things using genuine learning and get things set up perfectly before it all takes off in a big way. 5. Set up policies and guidelines. We’ve all seen those cringe-worthy moments when someone’s social media activity starts to go viral (for all the wrong reasons). Your team needs to be clear on what they can and can’t say on social media. But, as well as the rules, remember everyone is human and mistakes get made. Include risk mitigation, social media guidelines and recovery processes in case of any rogue moments. Keep all of this brief and friendly so you don’t scare the sales team off. Include training on how to build an expert profile on LinkedIn which is optimised with keywords and speaks to the customer. Provide practical training on Sales Navigator including how to conduct searches, updates, posting, InMails and networking. Think about how to deliver – and embed – the training. It’s key that this stuff sticks. Make sure you’ve set up measurements and metrics, and that they’re easy to keep an eye on. If possible, link to the wider business objectives (more on this below). Create a communication plan where, each month, you highlight success stories, share best practices, provide top-up training and work to embed the practice of Social Selling. 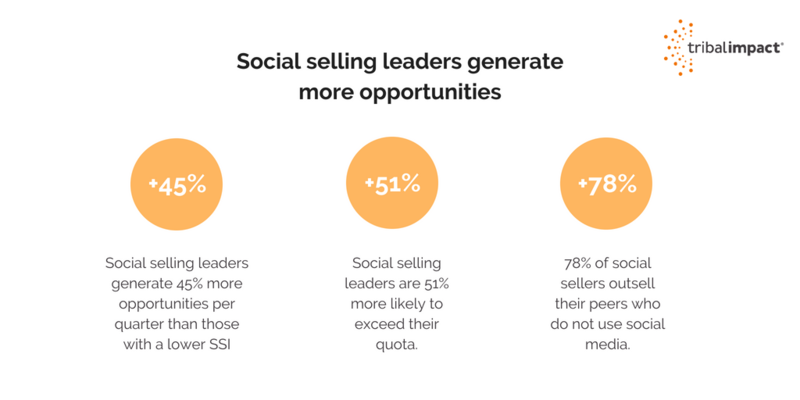 At Tribal, we’ve been lucky enough to get access to some of SAP’s top performing social sellers. We interviewed them and published a series of blogs full of useful hints and tips based on their experiences. Many organisations have already chosen to invest in Social Selling and have learned how to optimise their programs by making mistakes. 2. Forcing your sales team to do Social Selling. 3. Focusing on revenue and not relationships. Don't turn your entire sales team into a marketing megaphone. Help them to add value to their buyers through relevant content that will educate and inform. 6. One program fits all. Social Selling can’t be done without the wider business. Your subject matter experts need to create the content but the sales guys need to put it into context in terms of what topics they need to answer. Marketing will also need to create content and can also monitor and manage the overall content pool within your employee advocacy tool. Don’t approach Social Selling without the wider context of being a Social Business. 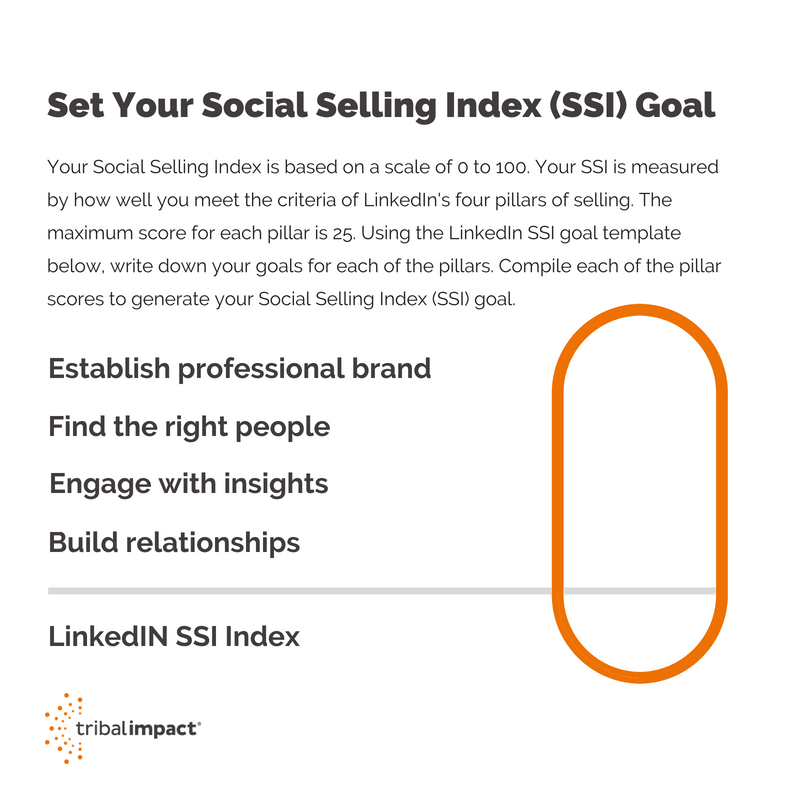 There are a good number of ways in which to measure the impact of Social Selling within your business. You can track your social media-generated pipeline within your CRM system by manually tagging opportunities that started out there. Connect the dots between content shared by the sales team back to website traffic generated and ultimately conversion. Bring sales and marketing together and help them see this as one process, one cycle. Check out your team’s SSI scores and see what correlations exist between them and their quota attainment and pipeline coverage. 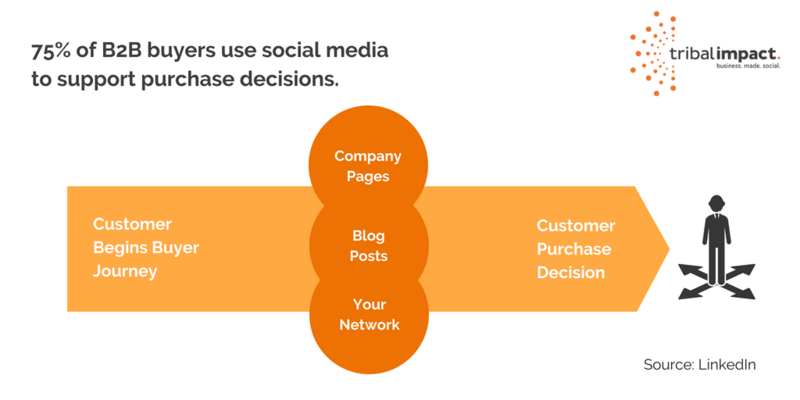 Track the deal cycle time for social media generated opportunities versus marketing generated opportunities. Typically the former should close more quickly than the latter because the prospect is warmer. Finally, look at the size and quality of the network. This relates back to the 2nd and 4th elements of the Social Selling Index: finding the right people and then building quality relationships with them. Q: How do I get my sales team to use their Sales Navigator licenses more? A: Do they understand the value? You need to ensure everyone sees the benefit of Social Selling and that it works for their own professional brand, not just the corporate brand. Ask yourself whether they’ve had the right training. They need to have ‘used’ it in an environment where they can try and test, to remove the fear of something new. Also, simply training them on the tool isn’t enough: they need to embed the training into their daily routine. A good way of embedding the use of LinkedIn Sales Navigator is to create a daily routine that incorporates it. By forming a habit, your team will change their ways of working. Q: What’s a good SSI score? A: LinkedIn states that an SSI over 70 is considered a professional social seller. However, don’t forget the score is calculated on a daily basis and activity on the platform may vary considerably day-to-day. The advice states that a mere 10 minutes per day should be enough to maintain a decent score, provided that activity is spread across the four pillars outlined by LinkedIn. 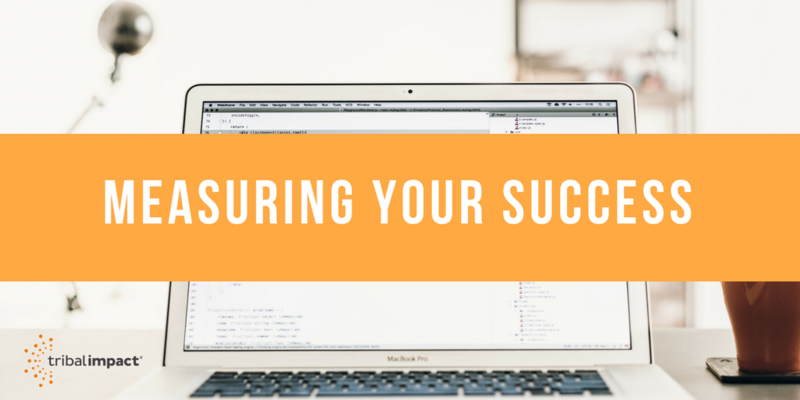 Scores can be seen on an overall basis and by individual category or ‘pillar’, so it’s worth focusing on any areas that are lagging behind in order to push up overall scores. Also important is to look at ranking in your industry and your network. Consider putting together your own bench-marking data so you can track your main competitors over time. Q: Does Social Selling replace selling as we know it today? A: No – but it will help your team be more efficient. Think of the time needed to run face-to-face meetings: it would simply be inefficient to spend the amount of time you can devote to online relationship building to actually physically visiting your network. Digital nurturing allows you to be in front of your network when you’re not actually sitting in front of them. Q: How do I get my entire sales team Social Selling? A: You will need to accept it’s a long-term transition if you want to bring your whole team across to Social Selling. It needs to be a planned approach to give everyone time to understand and adopt the new way of working. Have faith: it will happen over time, especially if you can identify one or two ‘champions’ who are early adopters of the concept. Use them to share best practices and success stories. Q: How do I know if Social Selling will work for my business? A: Ask yourself how you’re getting your business today? Is it by referral? If so, Social Selling simply digitises the process so there’s very little chance it won’t work for your business. In fact, if your customers are online, chances are you will be able to engage with them successfully using the approaches described in this guide.